Come learn from our experts in the Integration, API management and Identity and Access Management space. We will answer your questions and you can use this opportunity to learn how our suite of open source technologies can address your Integration challenges. 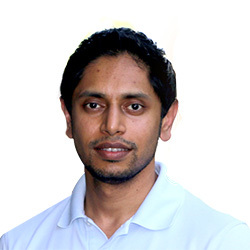 Located at 787 Castro St, in Mountain View, CA, our office will be open every Tuesday from 12:00 to 1:00 p.m.
Prabath has over 11 years of experience in this field and has authored many books including Advanced API Security: Securing APIs with OAuth 2.0, OpenID Connect, JWS, and JWE. He is a member of OASIS Identity Metasystem Interoperability (IMI) TC, OASIS eXtensible Access Control Markup Language (XACML) TC, OASIS Security Services (SAML) TC, OASIS Identity in the Cloud TC, and OASIS Cloud Authorization (CloudAuthZ) TC. 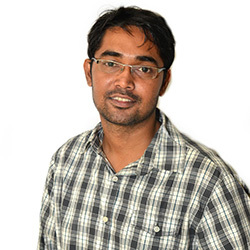 Prabath is also a member of Apache Axis PMC and has spoken at numerous international conferences including OSCON, QCon, ApacheCon, WSO2Con, EIC, IDentity Next, RSAC, and OSDC. 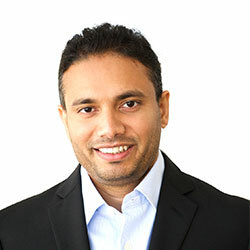 He has more than 10 years of industry experience and has worked with many Fortune 100 companies. Asanka drives efforts to create, refine, and enhance WSO2’s corporate reference architecture and spearheads the thought leadership outlook that defines WSO2’s corporate reference methodology for development, customer success, and implementation. Asanka has over 20 years of industry experience, which includes designing and implementing highly scalable distributed systems, SOAs and microservice architectures in the financial domain, mobile platforms, and various business integration solutions. 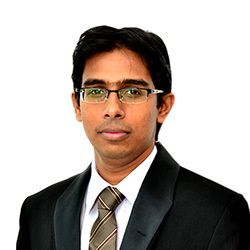 Kasun has over seven years of experience in Enterprise Integration. He is the author of the book “Beginning WSO2 ESB.” Kasun is an elected member of the Apache Software Foundation, a Project Management Committee member and a committer for the Apache Synapse open source ESB project. He is the founder of Silicon Valley Microservice, APIs and Integration Meetup, a vendor-neutral microservices meetup in San Francisco Bay area. Kasun is a regular speaker at WSO2 conferences held globally on topics related to Enterprise Integration and Microservices. He has conducted several talks at Bay area Microservices meetups and published several articles on the topic as well. Kasun has worked with many Fortune 100 companies and provided solutions related to Enterprise Integration and Microservices domains. Chintana provides consultancy to customers to help them identify technology requirements and implement various projects in key technology areas, ranging from integration, analytics, API management, and security. He has provided technology consulting on customer engagements including architectural guidance, integration of web services, print process automation, and online management solutions. Chintana is also a committer on the Apache Stonehenge project and also started WSF/Ruby and WSF/Perl. Complete this form with details of your availability and we’ll be in touch with you.